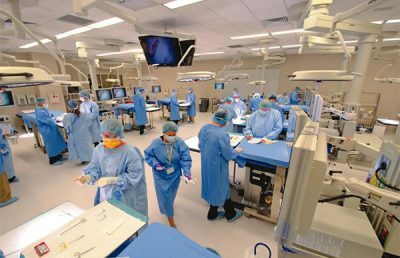 As more students become interested in pursuing health, science, and STEM career paths, colleges across the state have begun competing for both students and faculty. 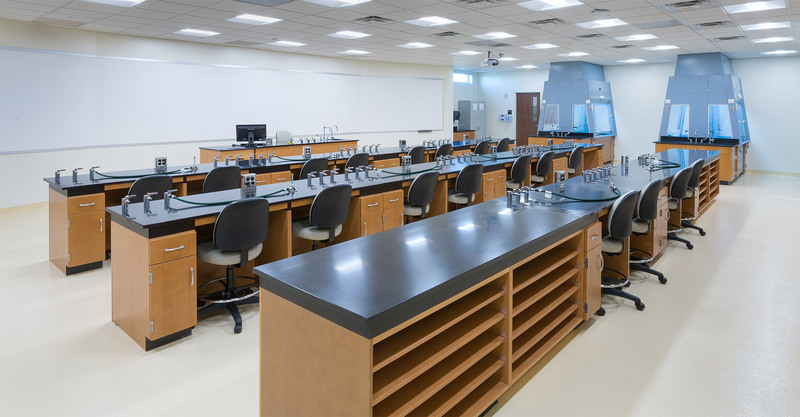 The quality of an academic institution’s building facilities goes a long way in recruiting the best talent available. 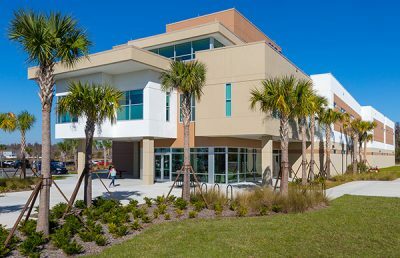 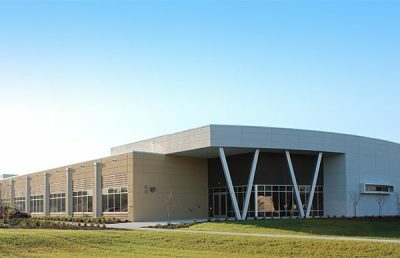 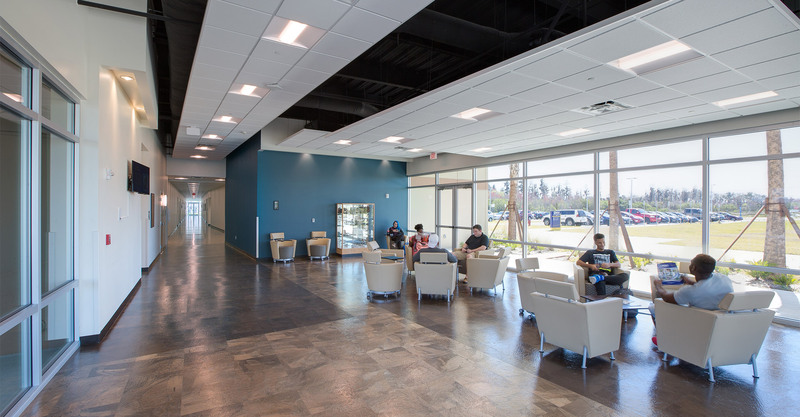 This community college had outgrown their initial multipurpose building and desired a new state-of-the-art facility dedicated to the health sciences and organic chemistry. 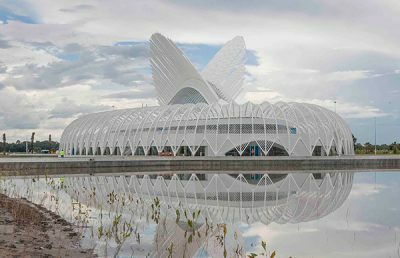 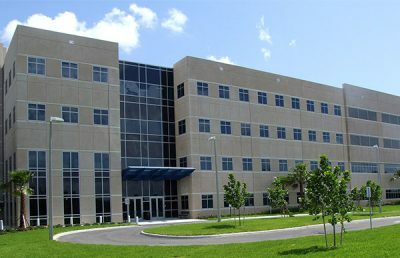 Following the context of the previous academic building, this Science Facility completes the east west axis of the existing campus master plan. 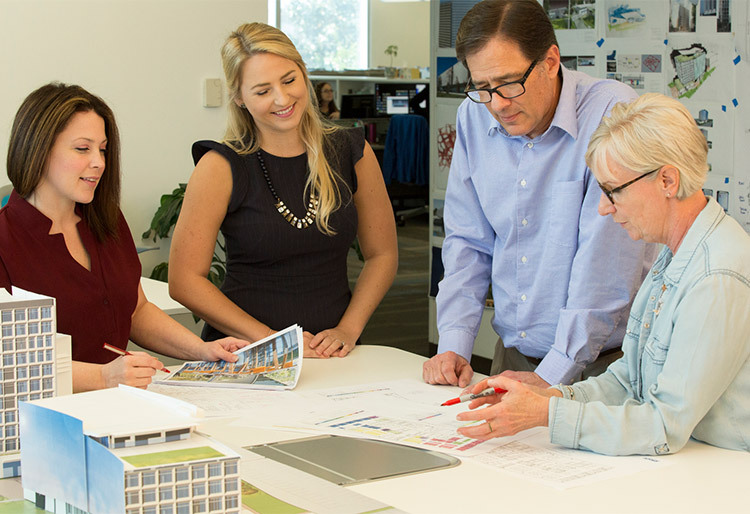 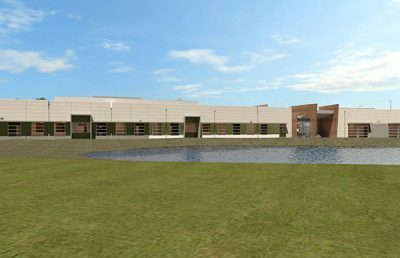 The placement of the building allows for an interactive court between the existing building and the new facility, and forms the heart of the master plan, as future buildings are to stretch north and south. 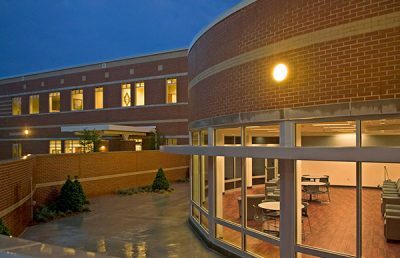 The plan is a linear double-loaded corridor maximizing usable net area and minimizing gross building space. 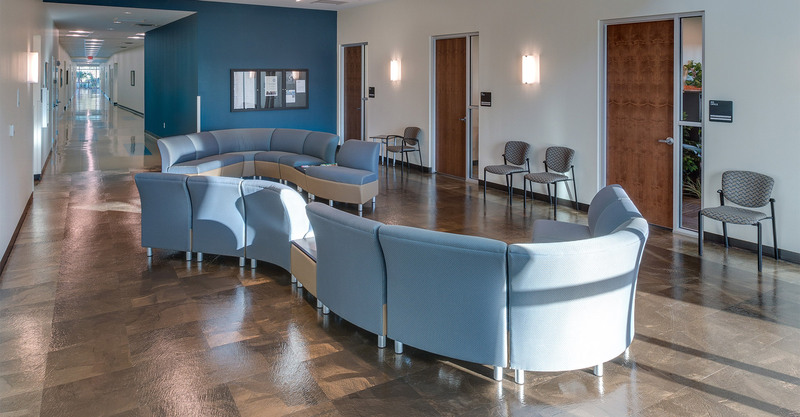 The entrance lobby and main corridor allow for interaction spaces for the students and faculty. 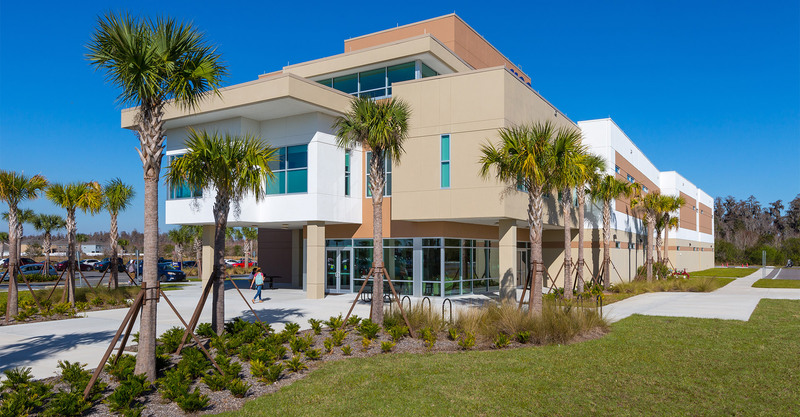 Sustainability was also important to this community college. 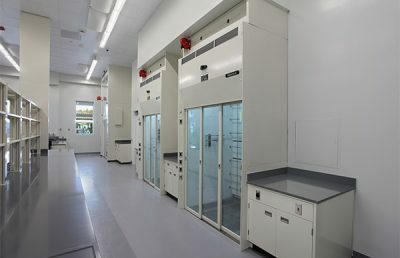 Despite being an energy-intensive laboratory building, this project achieved LEED® Gold status through close collaboration between the architect and engineers.